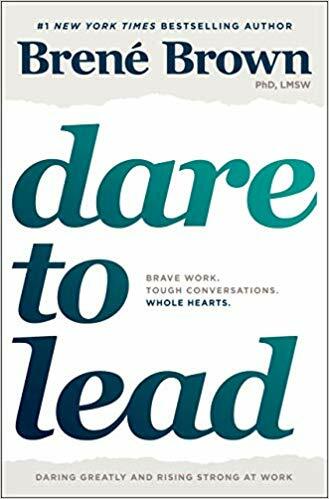 With Dare to Lead, Brené brings decades of research to bear in a practical and insightful guide to courageous leadership. This book is a road map for anyone who wants to lead mindfully, live bravely, and dare to lead. Brene visited Pixar to talk with our filmmakers. Her message was important, as movies are best when they come from a place of vulnerability, when the people who make them encounter setbacks and are forced to overcome them, when they are willing to have their asses handed to them. It is easy to sit back and talk about the values of a safe and meaningful culture, but extraordinarily difficult to pull it off. You don’t achieve good culture without constant attention, without an environment of safety, courage, and vulnerability. These are hard skills, but they are teachable skills. Start with this book. Whether you’re leading a movement or a start-up, if you’re trying to change an organizational culture or the world, Dare to Lead will challenge everything you think you know about brave leadership and give you honest, straightforward, actionable tools for choosing courage over comfort.